What most people don’t realize and the wedding industry conveniently keeps a secret. Is that you can have a day filled with personal, unique touches that really say something about you. And it doesn’t have to cost a lot of money. “Wow” is that overwhelming moment of appreciation when you’re so moved that you can’t even express it. When your guests experience the Wow Effect at your wedding they won’t just be impressed… they’ll really get who you are and what makes you special. Your guests are wowed when your wedding is a totally unique expression of you. The key to the Wow Effect is engagement. The “Wow Effect” happens in a group when you have people involved, connected and engaged in what’s going on. Guest become an important part of your wedding day, not just a spectator. 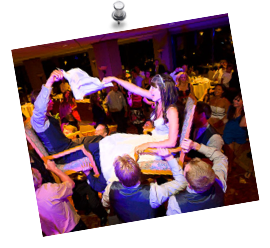 When your guests are engaged and involved in the events of your wedding, they get active and interested. They have FUN…and so do you. The more you involve your guests, the more it works, the more unique and FUN your wedding becomes… without becoming cheesy or just like any other Wedding. 32 Ways to Wow Your Guests Listed below are many ways to WOW your guests and make your wedding totally you. Complete the list yourself by adding some of your own ideas! 1) List (Love) songs to sing during dinner for the bride & groom to kiss. 2) Serve a special home-made treat on your sweet table and include copies of the recipe. 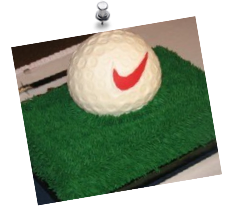 3) Have a “Groom’s cake” dedicated to your husband’s hobby. 4) Photos of your parents and grandparents their wedding days. 5) Include pictures of your pets. 6) Decorate your sweet table with personal momentous, collectibles or another themed style. 7) Favours or decorations can be based around your hobbies, talents. 9) Play a favourite TV, Sports or another show theme. 10) Do a funny dance you did when you were younger. 11) Have a cut out of cardboard of someone famous celebrity you love (ie: Elvis)…Or someone who couldn’t be at the wedding but is very important. 12) Performances by a musician, magician, vocalist or dancer. 13) Share your Love Story during the boring part of dinner while people are waiting. 14) Blank pages for them to write a memory about the bride or groom and turn it in. 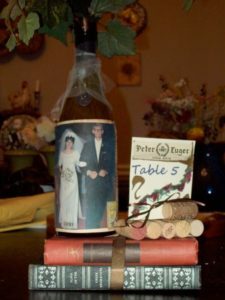 15) Table tasks like a disposable camera scavenger hunt. 16) Playing trivia games about the bride & groom or The Newlywed Game. 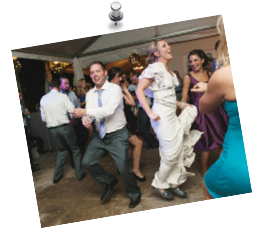 17) Special Dances like a friendship Circle or include ethnic traditions like the Hora or a Dollar Dance. 18) Wear something beloved with your gowns like jewelry that belonged to someone special, or your spouse’s dog tags from the service and explains what it is to everyone. 19) Play and dedicate a song as an inside joke. 20) Have “Unique Individual Introductions” for the Wedding Party Introductions. 21) Name your tables according to something you love. 22) Have someone teach the newest dance on youtube or give a dance lesson. 23) Announce Birthdays or Anniversaries. 24) Write your own vows. 25) Record a song with your love sentiments recorded onto it for your first dance. 26) Make a donation to your favourite charity. 28) Ask your guests for their first dances and play or dedicate them. 29) Include your favourite team, animal, a hobby in your theme. 30) Have your guests write thoughts of the day for a “Time Capsule” to be opened at your 10th anniversary. 31) Have centrepieces made from unusual things, not candles or flowers – maybe collectibles or feathers or something that reflects your hobbies? 32) Demonstrate or Display your own talent or skill and invite other family members to display their own talents.